General, Commander-in-Chief, First President of the United States...these are some of the titles of America's Founding Father, George Washington. I recently reviewed history related to Mr. Washington, and was reminded of what made him such an influential leader. No matter how you feel about Mr. Washington's rise to power, there is no doubt of his ability to influence others. In this post, I explore what made Washington an influential leader and how these leadership lessons should inspire us to be more influential with our families. If you read Washington's history, you soon learn he faced death early and often. His father passed when he was 11. A few years later, Washington's brother, Lawrence, died of tuberculosis. Two months after Lawrence’s passing, Lawrence's only child, Sarah, would die, making Washington the head of Virginia's most prominent estates, Mount Vernon...at 20 years old. I can't imagine how difficult this would have been to handle the loss of family at such a young age. But Washington didn't stop. He would hold farming as one of the most honorable tasks in life and is known for being most proud of his Mount Vernon estate. Washington would ultimately grow his property at Mount Vernon to over 8,000 acres. Courage can mean different things in our generation. But the point here is to live such that others, especially your children, see you as someone credible to teach them about being courageous. You and your family will have difficult things happen over time. Your child should see you as the example of courage. Are you living so your child will describe you as "courageous"? By the age of 23, Washington was commander of all Virginia troops. He was sent to the frontier to patrol and protect over 400 miles of border with only 700 troops. This would prove a frustrating task. He did not take salary for leading the Continental Army only asking for his expenses to be paid. He is known for writing every expense down—down to the last penny. Washington’s discipline may be somewhat legend. Regardless, I find the stories of his discipline fascinating. His daily routine is worth emulation. His journal holds the questions he asked himself. In the morning, he asked, "What good shall I do today?" and by evening he asked, "What good have I done today?" Are you living in such a way that your child is seeing an example of discipline? From age seven to 15, George was home schooled and he would study with the local church, and later learn math, geography, Latin and the English classics. Scholars say much of his learning was from backwoodsmen and plantation foremen. By his early teens, he had learned how to grow tobacco, raise stock, and survey land. As a military leader, he had his soldiers read Thomas Payne and the like. But, one such story sticks out for me. Before the age of 16, Washington transcribed the "Rules of Civility & Decent Behaviour In Company and Conversation" which had rules like "If you cough, sneeze, sigh, or yawn, do it not loud but privately; and speak not in your yawning, but put your handkercheif or hand before your face and turn aside." How are you showing your child that learning is important? When Washington was a commander of the colonial army, he could have went home for the winter. He didn’t. Then, as the first president, Washington was aware that his presidency would set a precedent for all that would follow. He is known for preferring the title "Mr. President," instead of more kingly titles. He originally declined the $25,000 salary Congress offered the office of the presidency. It is said, however, that Congress finally persuaded him to accept the salary to avoid the impression that only wealthy men could serve as president. Say what you will about Washington, but he seemed to understand his role in his generation. He was an example, even with how he would ultimately give up his power. Washington did not give in to the people around him who wanted him to serve a third term. Historical scholars say that he would have ran unopposed. But, in understanding his purpose, even with his limits, he was mindful of being the first president. This takes sacrifice, folks. Through this one decision, he showed the example of a peaceful transition of government which lives until this day. It takes sacrifce to not make everything about yourself. Washington would pass the position of president to John Adams and return to Mount Vernon in order to be a farmer again. Scholars understand Washington could have been a king. Instead, Washington chose to be a citizen. To me, the most distinguishable thing about George Washington, or any of the Founding Fathers, is that they seem to have recognized, keenly, that they could shape history by their actions. 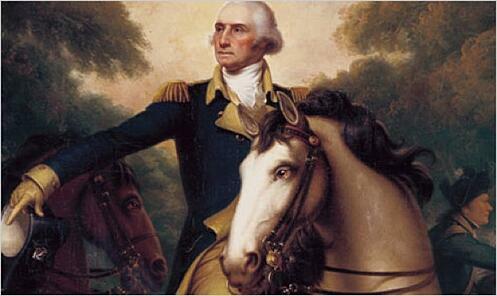 Washington was not only a military and revolutionary hero, but a leader who held a deep sense of purpose. His most important characteristic may be that he insisted he was dispensable. He pointed out to the watching world that liberty was larger than any single individual. If our families saw us as courageous, disciplined, lifelong learners, and sacrificial, I think they would be better off for it. Happy President’s Day. And Happy Birthday, George Washington. When was the last time you showed your family the above traits?